Plants and flowers (and not bricks and stones) come to mind first when talking about landscape. They compose the softscape while the other elements are generally referred to as the hardscape. Never think that choosing plants and flowers is easy. In fact, this is a very critical stage of the landscape design. 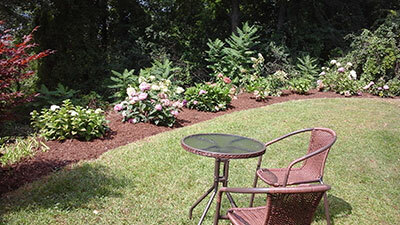 The right choice on plants and flowers will definitely add beauty to the entire landscape. However, the wrong choice might cause more problems and destroy important elements. Don’t worry. We will help you choose the best plants and flowers for any purpose you have. Why trust us? Rainbow Acres Landscaping have been creating beautiful landscape in Addison, Waterbury, Barre, Rutland, and many other Vermont cities for years. Speckled Alder will grow yellow flowers and it becomes more stunning when it reaches 16 feet. Low Bush Honeysuckle, Goldenrod, Pinnate Prairie Coneflower, and Swamp Sunflower are more yellow flowers that will surely brighten up your landscape like the sun. For minimalists, white flowers like Red Baneberry, Wild Senna, and Purple-Leaf Bugbane will be the best. Meanwhile, Canada Tick-Trefoil, Bleeding Heart, and Wild Geranium are great choices for pink lovers. Pink will go well with purple flowers like Fireweed, Daylilies, Coneflower, Hosta, and Foxglove. Trees are not just design elements. They provide shade, sturdy poles for clothes lines or fun swing, and a nice umbrella for an outdoor picnic. The trick is to place trees strategically to enjoy them at their best. But it’s also critical to choose the right tree species. Many of us have happy childhood memories with a maple tree. Bring back those memories with a Red Maple in your outdoors. Better plant an Eastern White Cedar if you want a tree that can last from generations to generations. If that’s too boring, then go with a Witch Hazel. Just wait and your patience will be rewarded with bright and fragrant yellow flowers. More trees are available for every Vermont home. But these are the safest bet because they do not pose any acorn problem or attract nuisance animals, insects, and pests. Shrubs may not be as bold as flowers or high as trees. But they certainly add beauty to a landscape, especially if they start growing pretty flowers. Summersweet is a popular choice because of its fragrant white flowers. Highbush Blueberry may not be very fragrant but it grows edible, yummy fruits. Other popular shrubs are American Elderberry, Purple Osier Willow, Nannyberry, Swamp Rose, Inkberry, and Sweetfern. With all these plants and flowers, we can create millions of beautiful combinations. We can delimit the choices by considering the condition of your area and design preference. Considering all these and you will definitely have a beautiful landscape that is filled with plants and flowers that are visually appealing and problem-free.